“Over the years, I’ve come to rely on B.L. Myers for excellence in drilling services. Whether its soil sampling, monitoring well installation, water supply development or conditioning, their range of capabilities, depth experience, and responsive service can be counted on even under the most difficult conditions”. “For the past fifteen plus years I have relied on B.L. 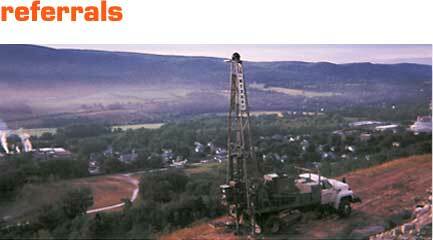 Myers Bros., to be able to accommodate all of our drilling needs from Geoprobes to air rotary rigs. They have always strived to provide prompt professional services”.